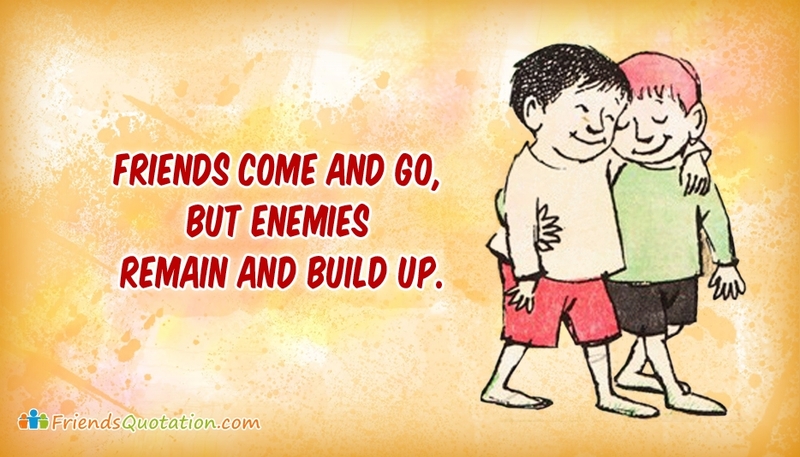 The friendship quote image depicts the importance of having more friends then enemy. We come across so many friends in our life, few stay, many leave but making an enemy remains, because the foe is going to accumulate and develop animosity. Holding more friends is always a treasure but not enemy. Free download this "Friends Come and Go, But Enemies Remain and Build Up" image through any social media.